Good Protection to car battery and your being-charging device.When car battery is undervoltage, LCD screen will indicate "LOW". 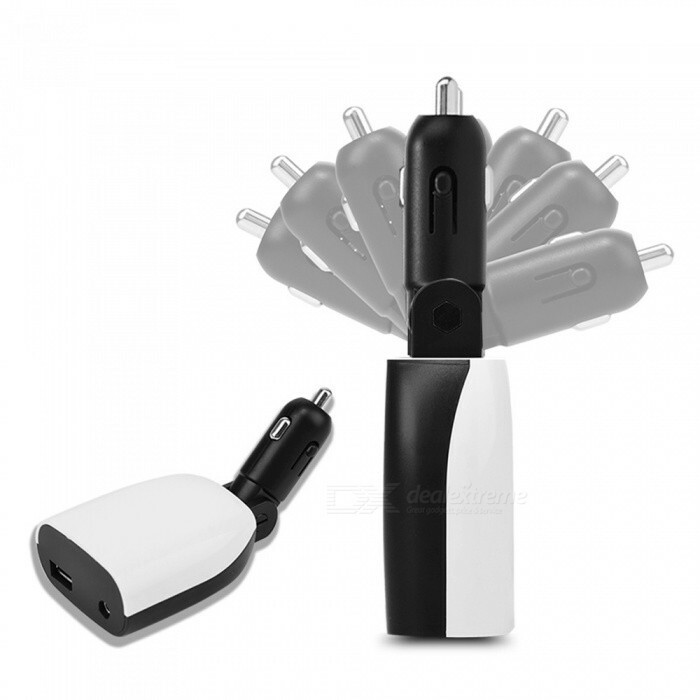 The intelligent car charger will cut the power even though devices are still connected to the charger. If always being low voltage, car battery will be damaged, and can not start the car or lights didn\&apos;t work. Once device (Drone battery/controller, sellphone or other) connected to the car charger, voltage of the car battery will indicate on the screen. 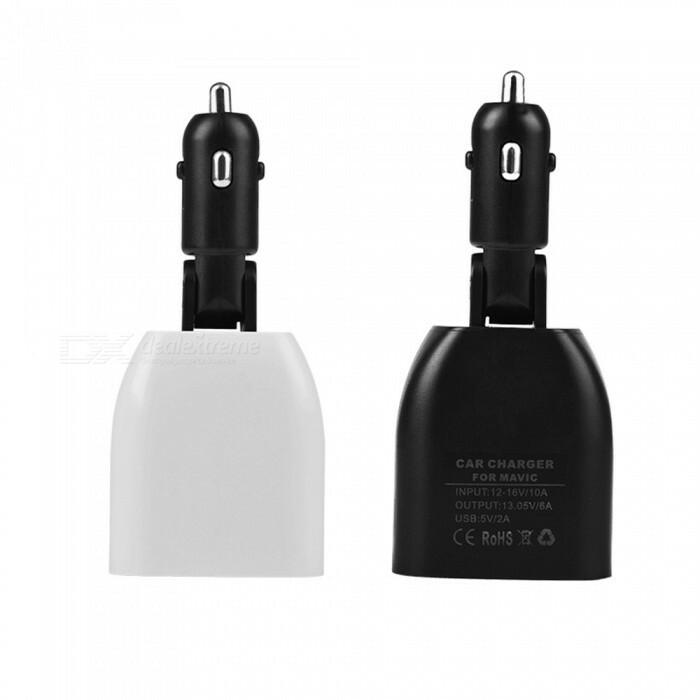 If voltage below 12V, there will be LOW warning on the screen, then car charger will cut the power and stop charging. 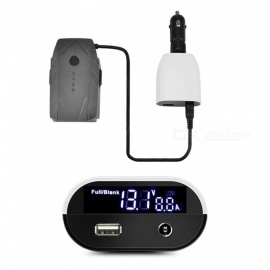 When device being charging, charging voltage and current will show on the screen, and also flashing with CHARGING. When charging finished, screen will show FULL/BLANK.